Like it or not, a successful business must have an online presence. If you’re old school, you might be wondering why it’s a necessity. First, in our electronic era, more customers than ever seek out products and services they need via smartphones, tablets, and laptops. Think of a good business website as a showroom that’s always open and never shuts down for holidays. Even more importantly, an online presence gives customers a chance to check your company out. They can investigate online reviews, customer interactions, and the quality and frequency of posts and updates. It all adds to the creation of a positive first impression and boosts the likelihood of repeat business and referrals to other potential clients. When you partner with Tech Treats, you don’t need to worry about spending a fortune on a custom business website or having previous tech experience. 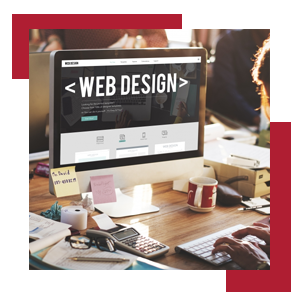 We bring more than many years of collective experience to work for you with our team of website design specialists, and we can create a functional, intuitive, and gorgeous website for your business in as little as four weeks. By developing a powerful web presence, you’ll skyrocket past the competition who are not investing in digital marketing, and you can do it in less than a month. For more information about why creating a sleek, modern business website is important or to get started, contact us online or by phone today! After analyzing millions of key data points and the user experiences of website traffic, Marketing 360® has intelligently designed the world’s best websites, on various web platforms. Work with a dedicated project manager and their team of talented designers and developers to create the perfect website for your business. Get more sales with the best websites for small business. Fill out the form below to get started. Fill out the form and a consultant will reach out to you to get information so we can design the website of your dreams!